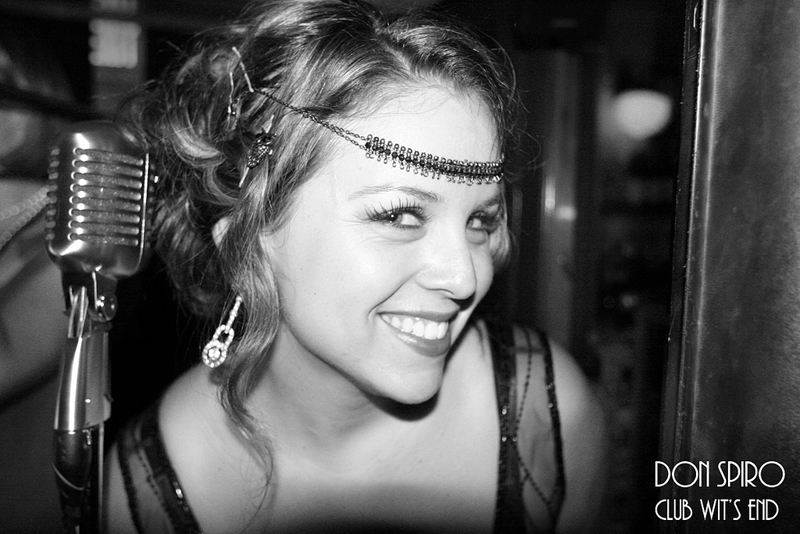 Here’s a sample: music does speak louder than words! Dennis Lichtman and all the members of the Brain Cloud have created the world’s most swinging, melodic “safe space”: which is to say, a place where all kinds of lyrical music are welcome to flourish — not historical or archaeological, but alive now. Once upon a time, we know, there was just MUSIC — a beautifully undulating landscape as far as we could see. Then, people looking to sell product — journalists, publicists, record company executives, even some musicians — came and divided the landscape up into little fiefdoms whose occupants glared at one another. The Brain Cloud suggests that a return to the prelapsarian world is possible: imagine a record store where The Carter Family and Benny Carter are friends, where Lester Willis Young and Bob Willis share a drink, a cigarette, and a story. Or a place where double-entendre blues sit in the same pew as hymns, where “Dixieland,” “roots music,” “Americana,” all those dazzling names for what is essentially the same thing, coexist beautifully, because they are all only music that has stories to tell and in the telling, enlightens the listener. To the music: as you can hear and see above, the opening track on this CD, JEALOUS HEARTED ME, is no academic exercise: a Carter Family song, it reminds me of rocking Fifties rhythm and blues, with an outchorus that would equal any Eddie Condon IMPROMPTU ENSEMBLE. The expert Merrymakers here are Dennis Lichtman, clarinet, mandolin, fiddle; Tamar Korn, vocal improvisations; Skip Krevens, guitar, vocals; Raphael McGregor, lap steel guitar; Andrew Hall, string bass; Kevin Dorn, drums. Each track is wonderfully itself — the CD isn’t a monochromatic blur — but each is a joyous lesson in the merging of “styles.” So aside from the “roots” classics — venerable as well as new (from Jimmie Rodgers and Patsy Cline) — there’s Alex Hill’s YOU WERE ONLY PASSING TIME WITH ME (hooray!) 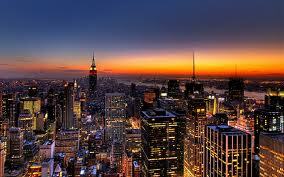 and the 1939 Broadway song COMES LOVE and the Twenties LONESOME AND SORRY and IF YOU WANT THE RAINBOW. Since the Brain Cloud has had a long residency at Barbes (on Monday nights) there is a delightful mix of exuberance and comfort. Everyone’s made themselves to home, as we might say. And — in case you worry about such things — the recorded sound is excellent. Those who have been to Barbes already have multiple copies of this disc; if you’ve never made it into Brooklyn for such frolics, you’ll want your own copy. And on a personal note: listening to the Brain Cloud has helped me to drop my own narrow suspicions of music that I didn’t think was “jazz,” always a good thing; I’ve been following them since 2009, and this disc is a wonderful encapsulation of what the band does so well. Here you can find out more about the Brain Cloud, hear more music, buy this disc, or a download, or even as a limited-edition cassette. And more. Don’t just sit there! Move that cursor! Big flavors. Never genetically modified. Nothing artificial. Sweet and savory. Real pleasure. Intensity and delicacy in one. Here’s the first set that the Brain Cloud (featuring Dennis Lichtman, Tamar Korn, Andrew Hall, Raphael McGregor, Skip Krevens, Kevin Dorn, with guests Noam Pikelny, Rob Hecht, and Michael Gomez) created at Brooklyn’s Jalopy Theatre on April 26, 2013. I dedicate this post and the one before it to the loving presence of Tadek Korn. The BRAIN CLOUD is a cooking Western Swing-plus band composed of Dennis Lichtman, clarinet, electric mandolin, fiddle; Tamar Korn, vocals; Raphael McGregor, lap steel guitar; Skip Krevens, guitar; Andrew Hall, string bass; Kevin Dorn, drums — and for this splendid CD release concert on April 26, 2013, at the Jalopy Theatre in Brooklyn, they were joined by guests Noam Pikelny, banjo; Rob Hecht, fiddle; Michael Gomez, guitar. Dennis and company are deeply into the music — but they are not “playing old records”; rather, they bring their own idiosyncratic personalities to the material. And even if you are not terribly receptive to “Western Swing,” fearing that the first word overwhelms the latter, I urge you to put your preconceptions in the bathroom medicine chest and simply listen — I predict you will be delighted. Jazz fans will hear echoes of Floyd Smith and Charlie Christian, of Count Basie and Benny Goodman — all synthesized in the most natural way in 2013 music that has an arresting but loving impact. The concert was uplifting in the nicest ways — worth the walk in the darkness over the Brooklyn-Queens Expressway! I should point out that this was also a CD release party, so don’t let the videos produce forgetfulness . . . the new CD, OUTSIDE LOOKING IN, is a delight that stands alongside the videos for pure pleasure. You can order OUTSIDE LOOKING IN as a CD, download, or vinyl record (why not get all three and be safe?) at braincloud. Posted in "Thanks A Million", Bliss!, Generosities, Hotter Than That, Ideal Places, Irreplaceable, Pay Attention!, Swing You Cats!, That Was Fun!, The Heroes Among Us, The Real Thing, The Things We Love, Wow! 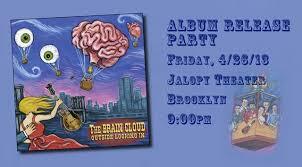 The BRAIN CLOUD is coming to Brooklyn, New York — to celebrate the release of their second CD. What could be nicer? 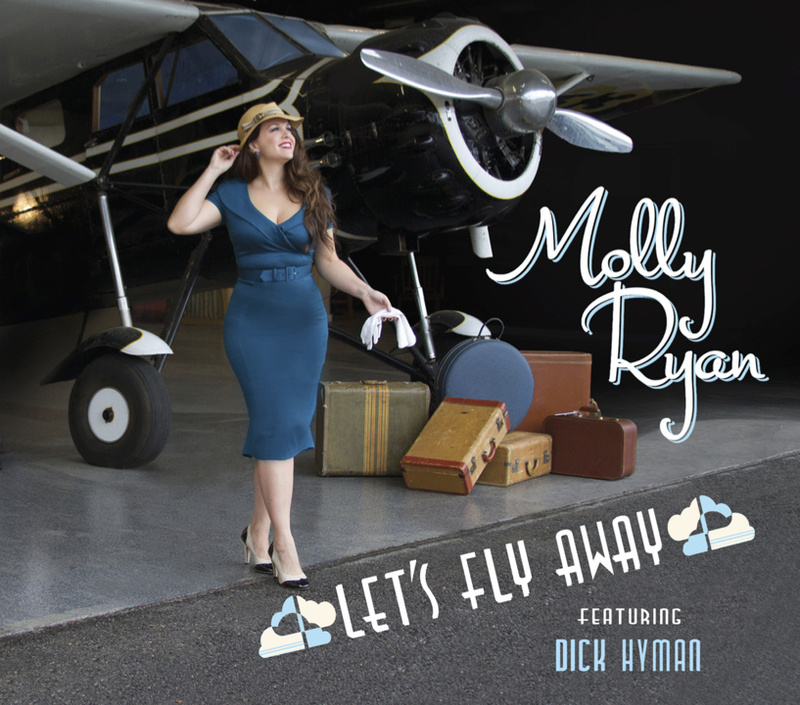 In case this ebullient band of joymakers is new to you, a word in your ear: they seamlessly shift from Western Swing to Thirties jam session to original compositions that have authenticity, spring, and eloquence. The basic BRAIN CLOUD is Dennis Lichtman, clarinet, electric mandolin, and fiddle; Tamar Korn, vocals; Kevin Dorn, drums, Raphael McGregor, lap steel guitar; Skip Krevens, guitar; Andrew Hall, string bass. (On the CD, OUTSIDE LOOKING IN, they are joined by three guests: Noam Pikelny, banjo; Matt Munisteri, guitar; Aaron Lewis, fiddle. The new CD’s eleven tracks so neatly embody the band’s cheerful repertoire: the ancient chestnuts, still relevant, WHEN YO WORE A TULIP, I AIN’T GOT NOBODY, and WHEN MY DREAMBOAT COMES HOME; the fairly obscure WHAT’S THE USE OF LIVING WITHOUT LOVE? (courtesy of King Oliver’s Victor recording); “American roots music” GOTTA LOT OF RHYTHM IN MY SOUL, MISS THE MISSISSIPPI AND YOU, I’M GONNA SLEEP WITH ONE EYE OPEN, and the wholly idiomatic originals OUTSIDE LOOKING IN (with very clever lyrics), TRIGGER BLUES, WE ARE NOW!, and IN THE BEGINNING. A personal note. I grew up with the stereotypical notion that much “country music” was formulaic — my woman, my truck, my hound — emotionally, rhythmically, and harmonically limited. But the BRAIN CLOUD has introduced me to repertoire I would have never heard before, far from the synthetic music I came to deplore. This band is a romping hot organization, its enthusiasm balanced by great precision and skill. Here’s the post I wrote — with videos a-plenty — in celebration of their March 2011 concert at Jalopy. It will get you moving, I guarantee. Here’s the information for their April 26 extravaganza at the Jalopy Theatre (315 Columbia Street, Brooklyn). You can pre-order OUTSIDE LOOKING IN as a CD, download, or vinyl record (why not get all three and be safe?) at braincloud. 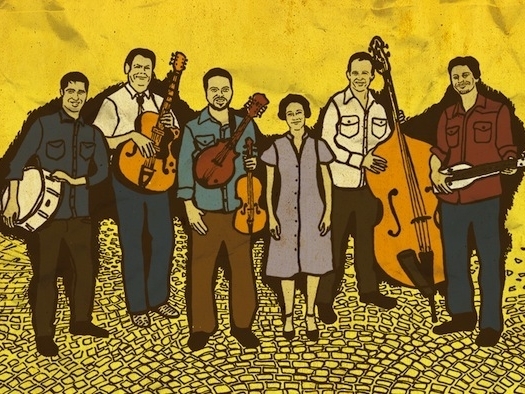 Better yet, come to Jalopy, hear the band, share the exuberance, and buy the disc(s) there . . . gladdening the hearts of the musicians in the most direct way. I’ll be there. Dennis Lichtman’s Brain Cloud is a hot band. Never mind that its guiding star is Bob Wills rather than King Oliver: don’t let it bother you. There was a time in American popular music where these “genres” overlapped so happily that Western Swing recordings looked back to Lang and Venuti, sideways to Bennie Moten and later to Charlie Christian. . . and often swung as hard as the Condon Commodores. Is that sufficient recommendation? The Brain Cloud takes its name from a Wills song — where having a “cloudy” brain is related to the deep blues — but there’s nothing particularly foggy or ambiguous about the band. Nice unison arrangements, intense (and not overlong) solos for everyone, and wonderfully on-target singing and impromptu choreography from Miz Tamar Korn. Dennis plays electric mandolin, clarinet, and fiddle — and chooses the good-natured tempos; he’s joined by Andrew Hall, bass, and one of my dear friends, drummer Kevin Dorn. Raphael McGregor plays the pedal steel guitar, and Skip Krevens the electric guitar — and sings a few. At the Jalopy Theatre in Red Hook, Brooklyn — where the Brain Cloud had their CD release party on March 25, 2011, Dennis had a few special guests — and I don’t use that term lightly: Noam Pikelny on banjo; Scott Kettner on snare drum and triangle; Matt Munisteri on guitar; Pete Martinez on clarinet. I was there on camera and tripod, along with JAZZ LIVES’ pal Doug Pomeroy, recording engineer extraordinaire. What a wonderfully spirited band! And now you know what band to engage for your daughter’s graduation, your son’s bris, your husband’s retirement, the mutual celebration of someone’s divorce coming through . . . The only problem with these videos (of which I am quite proud) is that you can’t watch them in the car — except, of course, if you’re a passenger. May I offer a safer solution? 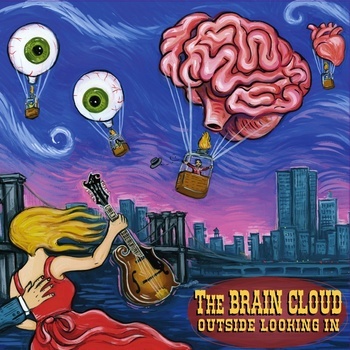 Clock here: https://www.cdbaby.com/cd/braincloud to purchase the BRAIN CLOUD debut CD — which has the same band (Dennis, Tamar, Kevin, Skip, Andrew, and Raphael) performing ten selections: MISSION TO MOSCOW / BLUES FOR DIXIE / BRAIN CLOUDY BLUES / MY WINDOW FACES THE SOUTH / PEACOCK RAG / HE FIDDLED WHILE I BURNED / COMES LOVE / SWEET CHORUS / SUGAR MOON / SITTIN’ ALONE IN THE MOONLIGHT — beautifully recorded, so that you will hear things that the videos can’t capture.